When Shadowrun Returns came out, it was a great way for fans of the pen and paper RPG to visit that interesting cyberpunk type world where magic and technology collide. It’s quite an interesting game world, and the computer RPG did it justice. Yet, it was slightly less than perfect. 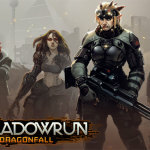 So when the Shadowrun Dragonfall DLC came out, it was great that developer Harebrained Schemes listened to their fans and fixed up some of the flaws. In fact, Dragonfall was one of the best RPGs to come out in 2014. 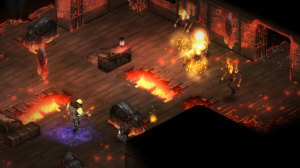 Now the developers have upped their game again, releasing Dragonfall as a standalone title. And if you bought the DLC and the original game, then you would have gotten this new version for free. For everyone else, rest assured that the game is more than worth the money. I always love a moonlit walk… to go commit a murder or some breaking and entering. As before, Dragonfall takes place in Berlin. 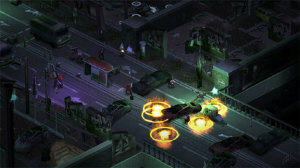 It’s the same basic story as before, just with major and minor improvements, new missions and a better interface. I honestly didn’t think I would enjoy re-playing the same game again just to get the new content, but I did, and I did. Given that you can play a completely different character this time around, it helps the replay value. In terms of general improvements, some are visual and some help improve the overall interface. Enhanced visual effects include things like blood splatter splashing up against the walls. You also get to sometimes dismember opponents. There are also more flashes and spells look different enough from one another that you can identify them visually – a nice little touch for magic characters. In general, everything looks a bit smoother and better overall, with new animations giving more life to combat sequences. Street samurais in particular, but also magical characters where essence is important, will rejoice at the addition of bioware to the game, enabling some improvements to be made without a subsequent loss in humanity. The interface is also improved. It’s now much easier to tell when you are in cover. You also will see why a shot did less damage than you expected – likely because your opponent was in some level of cover. You will also see why the to-hit chances of ranged weapons drop off suddenly over distance, again, likely because some level of cover exists between you and your target. The game calculated all this before, but didn’t bother to tell players about it. Now, if there is a table sitting between you and a blood mage and you have the action points, it might be worthwhile to move around a bit before you cast your next spell. It’s also easier to select a group of items to pick from when planning a combat, as they are grouped into weapons, spells and items. Again, all this was available before; it’s just much more intuitive now. Perhaps the biggest change for the better, especially for role-playing gamers like me, is a much bigger emphasis on the NPCs in your shadow-running group. Now when they level up, you get to pick special uber-skills along a tree to help give them new abilities. You end up picking one and locking out another, so there are choices to make. For example, at level three (there are five leveling choices for each character) Eiger gets either a special shotgun load that does extra damage while stripping armor and lighting a fire, or a super-velocity shot for the sniper rifle that ignores all armor. Each of the characters gets to level up at the same time, regardless of if they were actually on the missions or not, so you will always have a team at the same basic level and power as you. 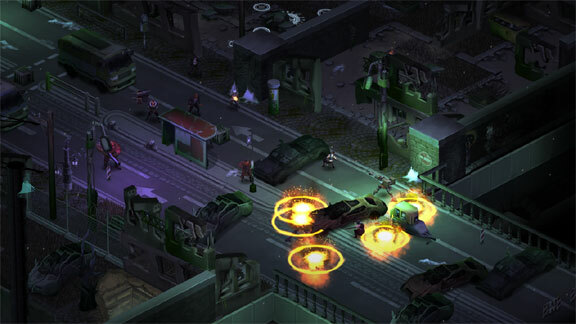 The other thing that was added is the new missions, and many of them thankfully center around those same NPCs. I always felt that while the character interactions in the original game were great, that the original Dragonfall left the story incomplete. So what if Glory decided to confront her past if you don’t know how it all turned out? Now you can actually go with her and try to make things right. Tying up loose ends in an RPG is one of the most important things that can possibly be done. Doing it with more missions and content is a perfect way to add even more flavor. 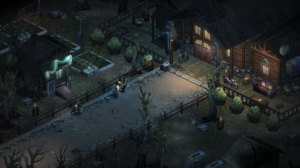 In total, there are five new missions in the game, with three of them centered around the NPCs in your group. For the most part the new missions are all optional. All of them help flesh out some of the more mysterious elements in the game, like the Black Lodge and their twisted agenda, which also gets one of the new missions should you choose to accept it. Those of you who enjoy the elements of Shadowrun and the dark cyberpunk type world it offers will probably like the ten new pieces of original music from composer Jon Everist. As yet another bonus, you get the soundtrack to Dragonfall and the Shadowrun Returns original game when you pick up the new director’s cut. I see fire. Quick, go cue up Beavis. There really is a lot to love about the new Dragonfall Director’s cut. 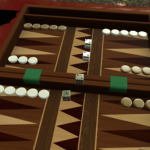 Certainly new players who have never tried the series will want to start here. Yet, there is enough meat and new content that even if you played Dragonfall before when it was just a DLC, you will still have a great time going through the game again – especially if you play a new type of character than you did before – or if you are like me and wanted to really find out how all those NPC problems worked themselves out. Getting it for free if you bought the other version of the game is also an amazing gesture that should not be overlooked. Dragonfall was probably one of the best DLCs to come out over the past few years. Looking at the director’s cut as a standalone game however, means holding it to a higher standard. 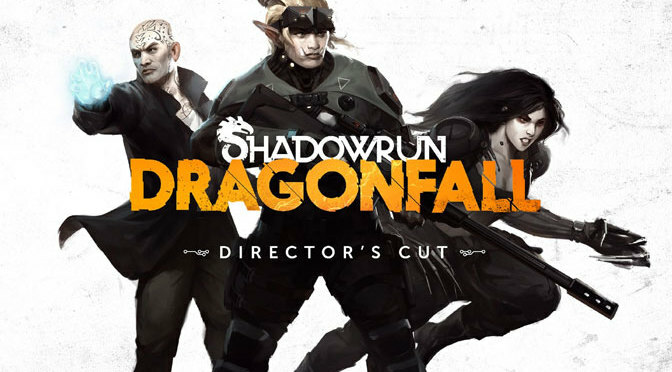 Thankfully, Shadowrun Dragonfall: Director’s Cut is up to the challenge. I had a ball playing it, and I think most players (from any experience level) will probably do the same. 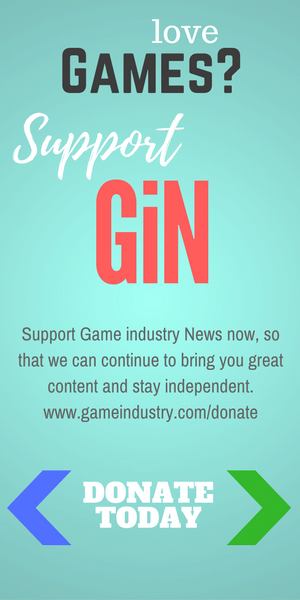 It earns 4.5 GiN Gems and can serve as a lesson to developers about how to treat their customers and fans the right way.